The Swizzle Bird Teaser from KONG is an interactive cat toy where you can decide what movements it makes. The feathers make the toy irresistible for your cat. The Swizzle Bird Teaser from KONG is a great toy for interactive games with your cat. The feathers are irresistible to cats and the random movements will keep him or her entertained. Only use this cat toy under supervision. Other KONG toys for cats are also available at Vetsend.co.uk. 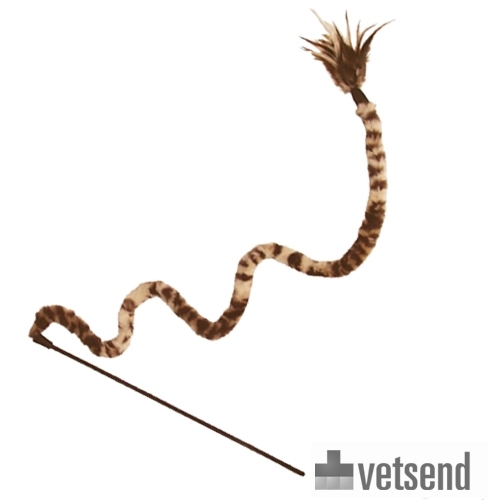 Have you used KONG Cat - Swizzle Bird Teaser before? Let us know what you think about this product.